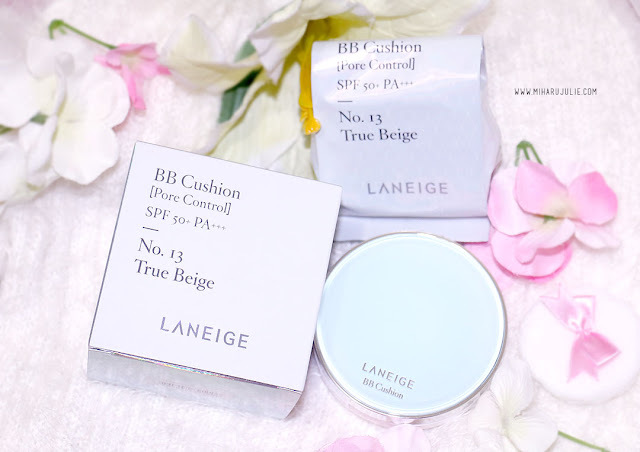 This is the first Laneige BB cushion that I've tried. Laneige is a well known Korean skincare and makeup brand hailing from Amore Pacific, a number 1 cosmetic company in Korea. Think of it as the L'Oreal of Korea. 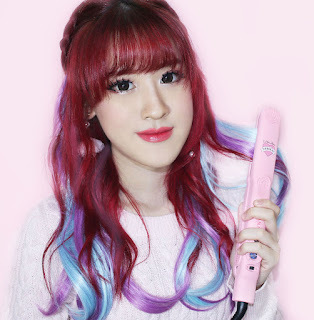 Just like L'Oreal, Amore Pacific also holds a varied portfolio of brands - from inexpensive drugstore ones like Etude House, to high end fancy schmancy ones like Sulwhasoo. 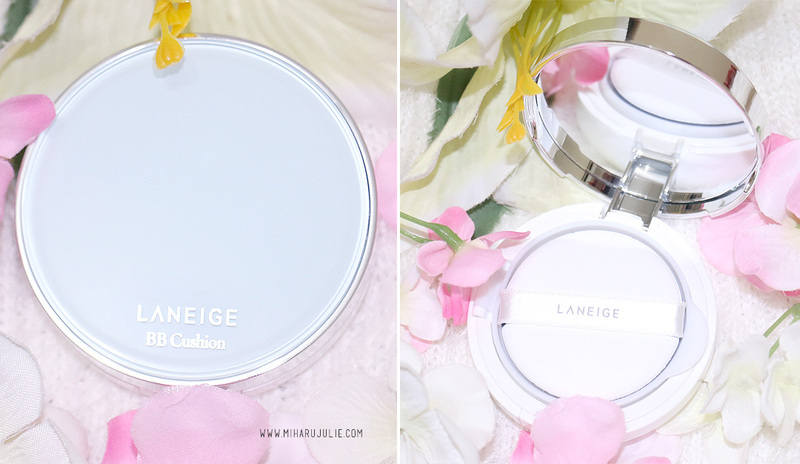 Whenever I see Laneige products in store, I always see Song Hye Gyo pictures and her fantabulous flawless skin which I wish I have lol. 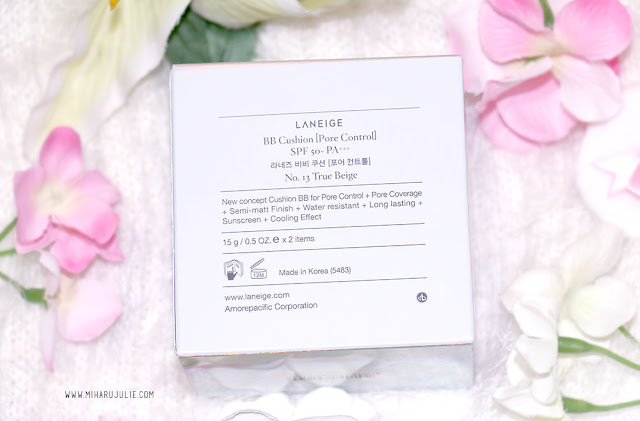 Mine is Laneige BB Cushion Pore Control No 13 True Beige and it suits my skin. I was really exited to have this It has good smell, an what I love is that this product stays very long on my face. The beige color with yellow tone for bright and clear skin tone. The calm natural beige for chic and natural skin tone. The sand beige for healthy and natural skin tone for tanned skin. The brown beige for naturally healthy skin tone for darker skin. Dark Beige for chocolate undertone. Pore Purifying Complex™ refines the pores and strengthens skin's natural resistance. Contains powerful Dual Powder Formula that keeps skin soft and smooth to the touch with a lasting semi-matte finish. Anti-darkening Powder keeps the formula true to its color regardless of how long it was worn. The cooling effect refreshes skin as soon as it is applied. The elastic Silicone Elastomer and Soft Focus Powder conceal the pores. 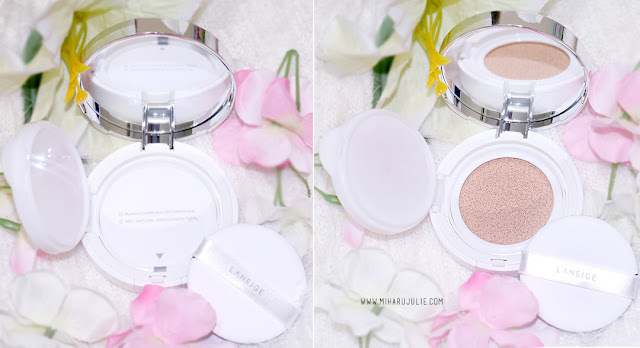 The packaging comes with the cushion compact and refill. It's simple with the silver box. The packaging is pretty thick and chunky, not exactly very travel-friendly but it isn’t very heavy so that helps. I love the big mirror within the compact, great for touch-ups if you need to. There is also an additional plastic flap inside the compact to prevent the cushion from drying out. 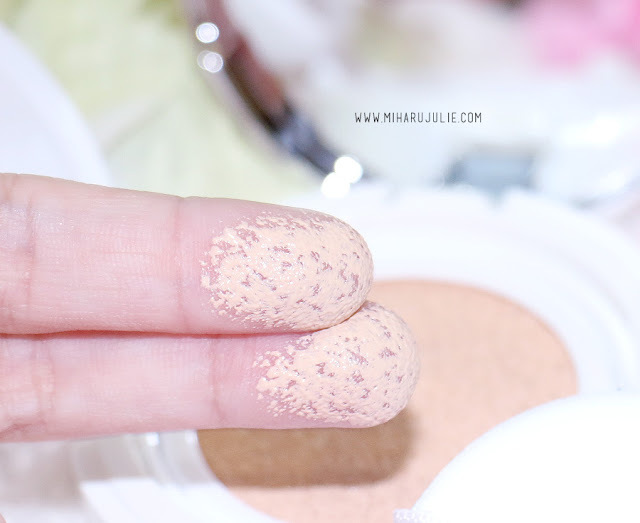 The blue puff applicator is not the typical powder puff that you get with powder foundations.It is an air-cell textured puff that doesn’t quite absorb the product, so all the product you pick up is not wasted. Close the product completely and turn it upside down. Press the bottom of the container with both hands to remove the empty cartridge. Keep the puff clean at all times. Use lukewarm water mixed with a small amount of neutral cleaning agent and gently massage the puff to clean. Rinse thoroughly, squeeze the moisture out, and dry completely in a cool shade to prolong use. 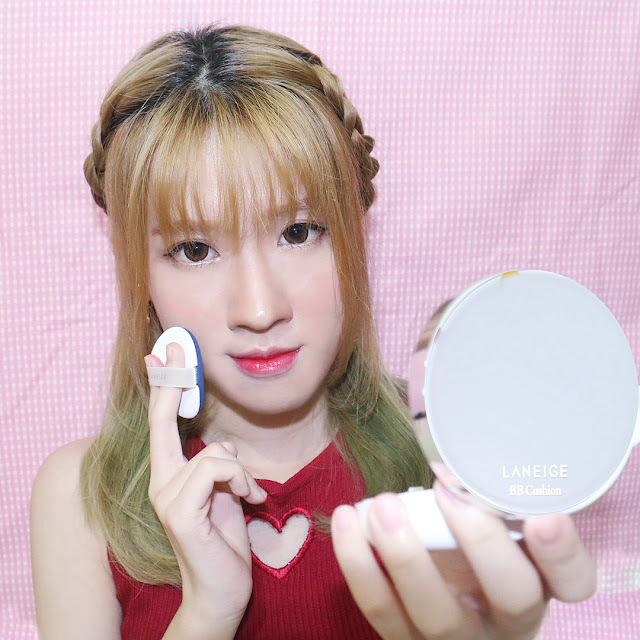 The texture of this bb cushion is somewhat creamy, and it applies easily on the skin.. I would say it has a semi-matte finish or matte that doesn't leave a cakey appearance. The coverage is light-to-medium which is enough to cover my red areas around my nose and post acne marks. But if you have really dark spots, it won't be enough to cover it. I still need to use concealer to hide my dark undereye circles too. Take a small amount of the product with the puff and gently stroke along skin texture; gently dab to improve the finish. Apply another layer for more coverage. If the product does not seep out when you press down on the cushion, replace the empty cartridge with a refill. 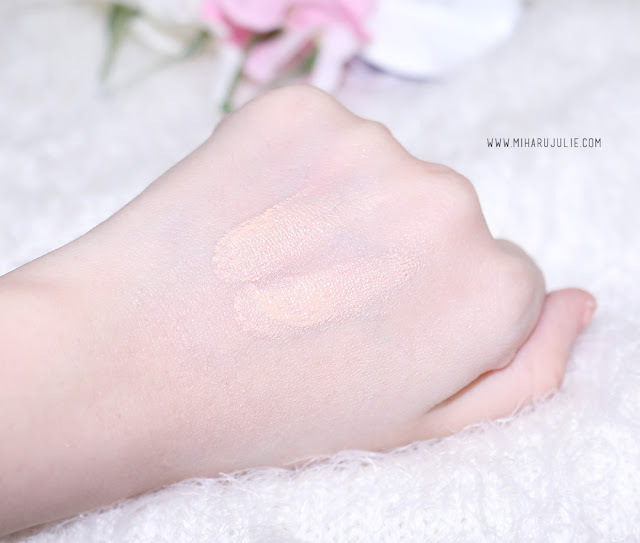 I love the consistency because it's light, non-sticky and does not leave an oily film on my face. I used it without a primer or setting spray and I was very happy to see that it stayed on my face without the need for touch ups or use of an oil blotting film. I think I used it for around 8 hours. It also did not emphasize my pores. What is the Plus Zone? The area starting from the forehead ― where the pores tend to be more visible ― to the tip of the chin and the straight line between the cheek bones is called the Plus Zone. After applying base makeup or sunblock, take a small amount with a puff and lightly pat on the center of the face. Apply a small amount on the Plus Zone where the pores are most visible. Zone to avoid creasing and dab thoroughly. After applying base or sunblock, take a small amount with the puff and apply on the cheeks, forehead, and between the eyebrows, nose, and chin. Take care not to leave streaks or harsh edges when applying on areas outside the Plus Zone. 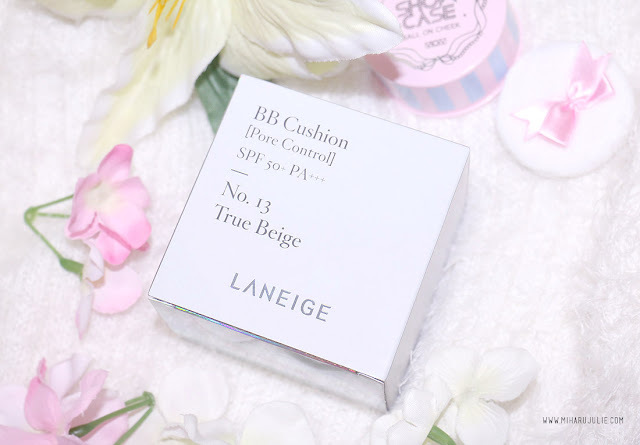 Overall, I'm a huge fan of BB cushions so I've tried many, from high end to low end. This one is by far one of the best I've tried so far. 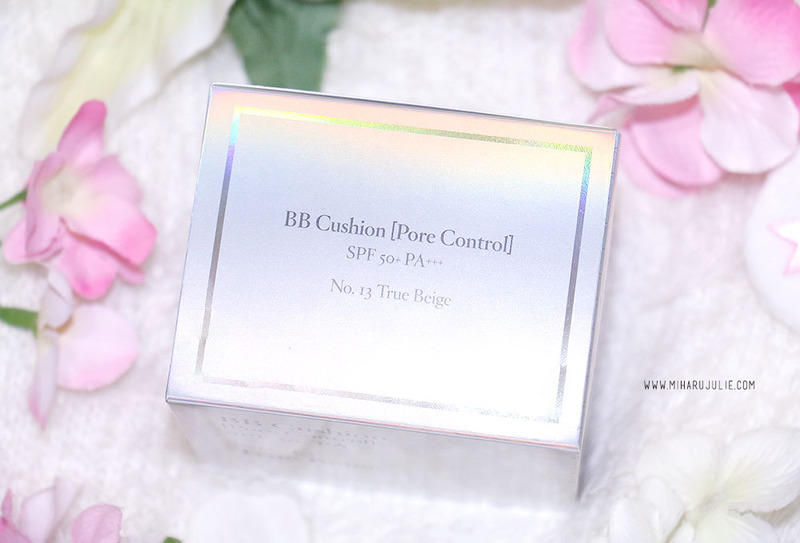 I have dry skin with some dry patches but I still reach for this cushion, it gives me a semi-matte finish, It's also very long lasting and sweatproof. I used this for almost 8 hours without any setting powder, foundation, or powder pact, I only used my blush on, I didn't even touched up but my face was still going so well. The price is a bit expensive....however it comes with a refill and the amount is similar to most regular foundation. I don't know the product but it sounds pretty interesting indeed. Love the makeup look on you. Beautiful shade. kaca dipackagingannya kaya full gtu, jadi pengen deh..